JFH News: Fallstar Launches Kickstarter For "Future Golden Age"
(September 22nd, 2015. 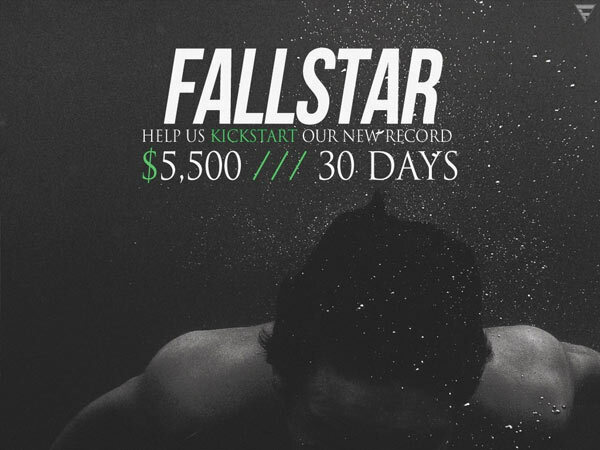 Portland, Oregon) After a successful stint dabbling in the label rat race, Portlandia's Fallstar, a melodically heavy act of class and defiance, is launching a brand new Kickstarter campaign to help fund their fourth record FUTURE GOLDEN AGE. Some would say it's their most important work to date. The Kickstarter video contains some important information regarding the future of the band as well as some familiar faces that old school Fallstar fans have grown to forget. The band will soon be celebrating their ten year anniversary, a milestone not many acts can boast. In honor of momentous (and quite frankly, shocking) occasion, this Kickstarter's incentive list will be exhaustive and groundbreaking, including; a moonlight serenade of Meatloaf's greatest hits by bassist Bryan Ratzlaff (gondola must be provided by donor), a dread of your choice from the head of drummer Morgan Weisz, krump lessons from bassist Jeff Ratzlaff and a step by step analysis of your HeroKlix skills by vocalist Chris Ratzlaff. If there is one Kickstarter you donate to this year, let it be this one.